The horrific and surreal rampage allegedly committed last week in Kandahar by Sergeant Robert Bales, which resulted in the deaths of 16 Afghan civilians, has turned many Americans into amateur psychologists. This is natural: We all desperately want answers for how such a terrible thing could have happened. But the real answers are unlikely to be very satisfying. As a former active duty Army psychologist who spent 27 months in Iraq taking care of soldiers, I can attest that the oldest tropes about warfare are true: Combat is destructive; deployment in a warzone is enormously stressful. For the men and women serving in war, these aren’t simply clichés—they are harsh realities that the rest of us have yet to fully reckon with. And they are realities that sometimes resist being explained by the language of clinical psychology. It would be drastically wrong, not only morally, but also psychologically, to think of murder as a normal response to the experience of combat. But no one should be surprised if our soldiers’ personalities change, sometimes drastically, after they experience warfare. 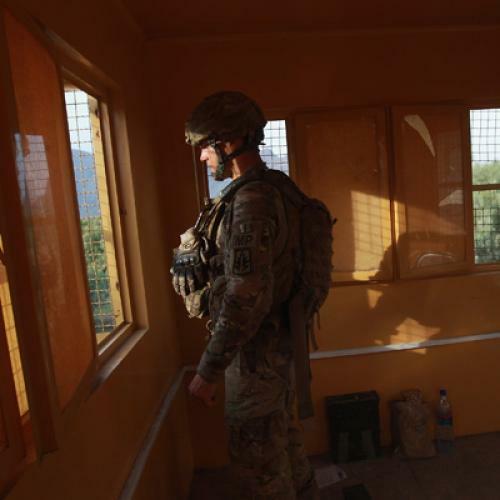 Psychologists expect that anyone faced with the stress of combat—whether it's the witnessing of trauma, or the mere separation from loved ones—will show signs of anxiety, ranging from sleep disturbance to sadness. Indeed, the term combat stress is now used to describe the “normal” range of distorted reactions to the abnormal situation of combat. But combat stress is an old concept with a relatively new name. During the American Civil War it was called “soldier’s heart” and “nostalgia.” It was referred to as shell shock in World War I and battle fatigue in World War II. And then sometime around the Gulf War it took on the label of combat stress. The hallmark of combat stress is the transient nature of the reaction. It is generally believed that with adequate rest, support, and encouragement, the soldier will be able to return to the fight. Then there are the many wounds that soldiers receive that don’t show visible scarring. Traumatic brain injury (TBI) has earned the distinction of being called the “signature injury” of the wars in Iraq and Afghanistan. Some studies have shown that up to 1 in 5 soldiers who served in Iraq have suffered a TBI of at least mild severity. Along with various physical symptom manifestations, it’s not uncommon for TBI to cause fluctuations in mood. In more severe cases, it can cause more lasting changes in personality and behavior. There is also PTSD, which is without question the most publicized psychological consequence of war. Although the disorder was documented as early as the 1600s, the formal diagnosis did not appear until 1980. Spawned from political and social pressures post-Vietnam, the diagnosis found its place in the Veterans Administration as a way to understand, categorize, and treat the thousands of returning veterans with severe psychological distress. There are several accounts in the psychological and medical literature connecting PTSD with violence, including murder. But we should also be cautious about assuming any direct causality between these psychological conditions and the commission of unwarranted violence. Most PTSD cases involving murder have other contributing factors, such as alcohol intoxication or dependence, prior history of criminal and violent behavior, and co-morbid psychiatric disorders. In other words, it is impossible to determine if PTSD is ever the precise cause of violence or not. As a whole, in fact, the literature shows that those with PTSD have no more proclivity to committing murder than those without the disorder. As for TBI leading to criminal violence in the field, it is unlikely that any soldier suffering a TBI severe enough to alter personality and cause a dramatic shift in behavior would be deployed to a hostile environment. The contrast between pre- and post-injury behavior is typically very evident in moderate to severe cases of TBI, which would alert fellow soldiers, superiors, and medical personnel to the problem before it would have come to a situation like Bales’. As I mentioned at the outset, it is normal to search for answers when we are faced with events that transcend our understanding of human behavior. The killing and death inherent in war is difficult for most people to comprehend. It is exponentially more so when the killing is committed by an assumed “good guy” and the victims are innocent men, women, and children. But in the case of the recent massacre in Afghanistan, there is no neat causal box in which it fits. From my experience with soldiers, I can attest that PTSD, TBI, combat stress, relationship discord, alcohol abuse, or any other possible aggravating factor, in isolation, cannot account for the murder of 16 people. It is likely that a combination of factors led to the event—a “perfect storm” of combat, social, and personal stressors. As the final story plays out, we will likely see a picture of someone plagued by the atrocities of war, emotionally and physically drained, burdened by financial and relationship problems, angry at the system for being required to deploy multiple times, and consumed with hatred for a group of people culturally and religiously similar to those who maimed and killed fellow warriors. It will likely be a story that tells of more than one tragedy. Bret A. Moore is a clinical psychologist living in San Antonio. He is the co-author of Wheels Down: Adjusting to Life After Deployment.